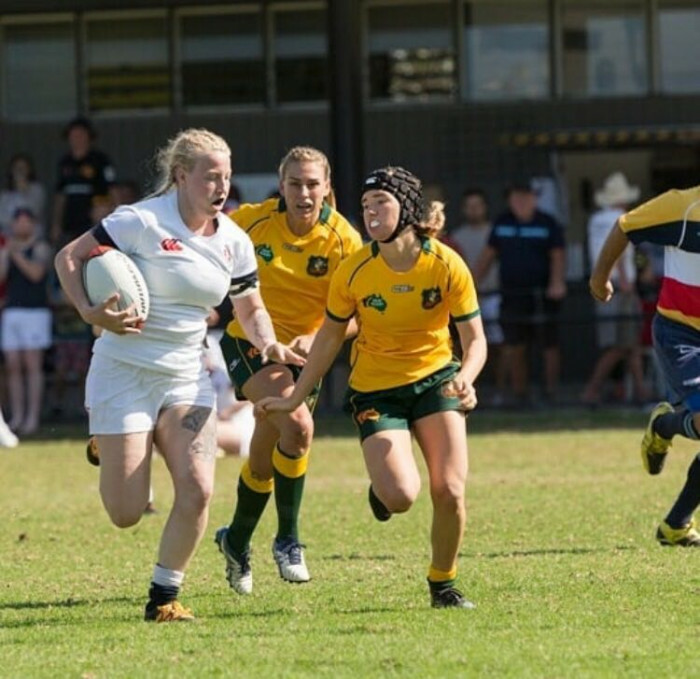 The hope was that tournament would include women’s teams from four countries, plus a Barbarians side, but costs and visa restrictions have resulted in there being just two teams – England and Australia, who will play a four-game series for the Betty Steele Trophy. Although disappointing, this will still be the first ever international series for deaf women, something which deaf players have been working towards for around a decade. Originally the aim was to organise deaf rugby tests, but In 2016 the World Deaf Rugby Conference in Auckland decided the best way forward for Deaf Rugby was to promote sevens for the practical reason that it requires fewer players. As it is the Australian squad for this series only has eight players. The games were played at the David Phillips Field in Daceyville, Sydney.